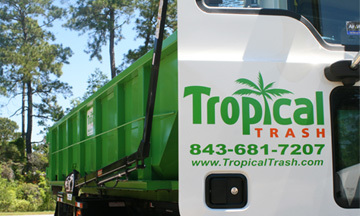 Tropical Trash is a leading provider of dumpster and portable restroom rental services located in Hilton Head Island, serving the business of Beaufort County, South Carolina. We are a waste company staffed by a dedicated team of professionals who take personal pride in serving our customers with care. Tropical Trash was founded in 2014 to help our area’s builders and contractors manage their garbage needs. We know the weight of the responsibility you place with us to be dependable, fair, and on-time with our delivery and waste collection services. Being reliable, honest, and prompt are important to us. We share your concerns and accept our responsibility of doing our part to always serve your waste management needs. 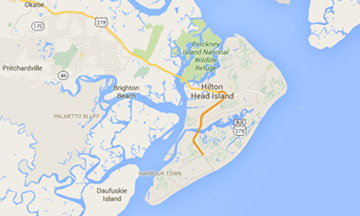 Let us be your Hilton Head trash company. You can count on us to provide garbage solutions that meet your specific needs with value and convenience. When you need us, we will be there. From basic dumpster rental service to more complex situations, Tropical Trash will answer the call, and we will deliver. We do what we say, and we will continuously strive to exceed your expectations with all of our trash services. Thank you for choosing Tropical Trash. 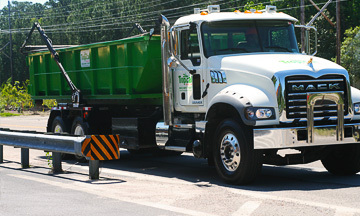 Tropical Trash was founded on a commitment to providing the highest quality commercial waste collection services to the Hilton Head area. 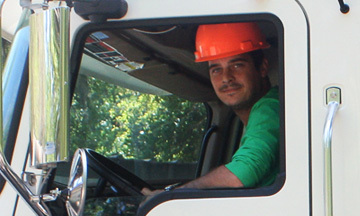 Tropical Trash's expert staff represents some of the most dedicated waste management professionals in the industry. Enjoy the peace of mind that comes with working with a trash company committed to excellence and backed by our unconditional guarantee.